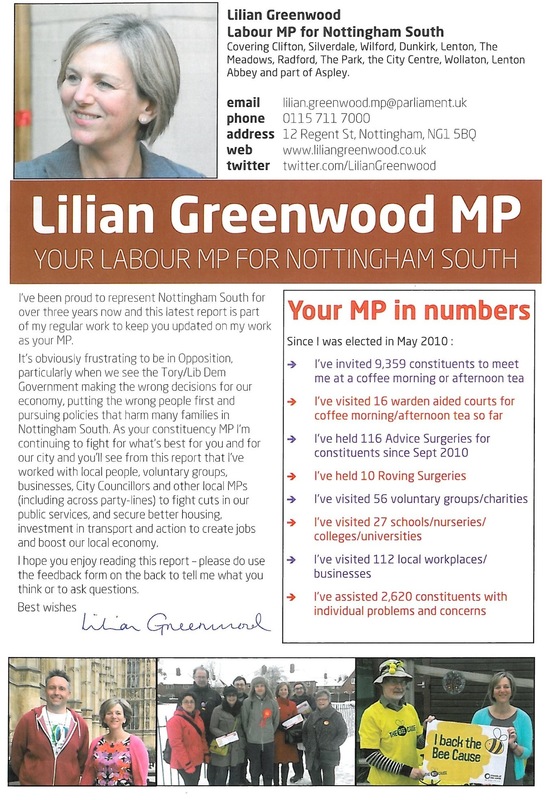 Crime is down; policing in Nottingham needs a different focus; still making improvements in The Meadows. 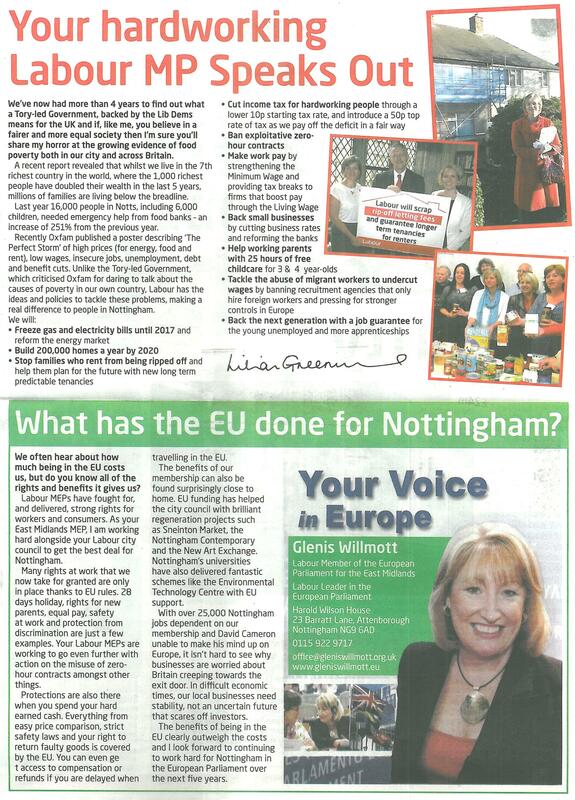 How Nottingham benefits from Britain’s membership of the European Union. 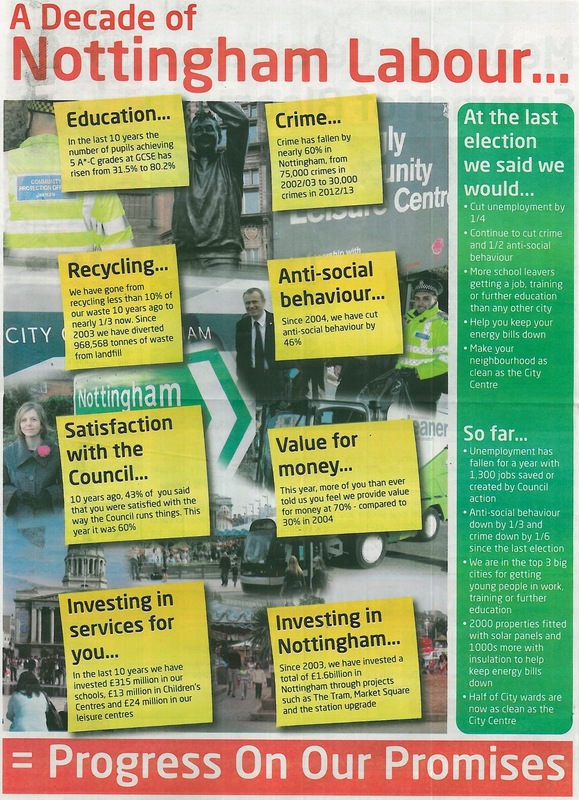 Crime reduction in Nottingham city; national government directing money away from Nottingham. 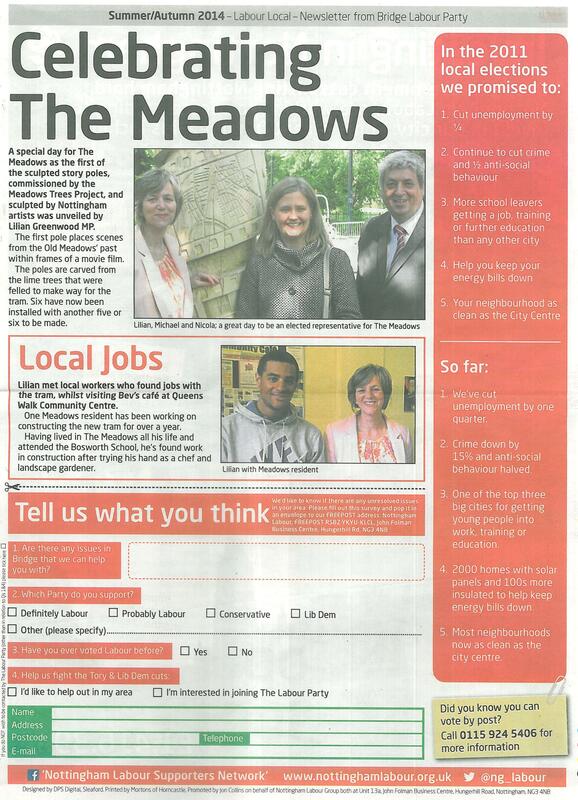 Celebrating strong communities in The Meadows; how to contact your elected representatives. 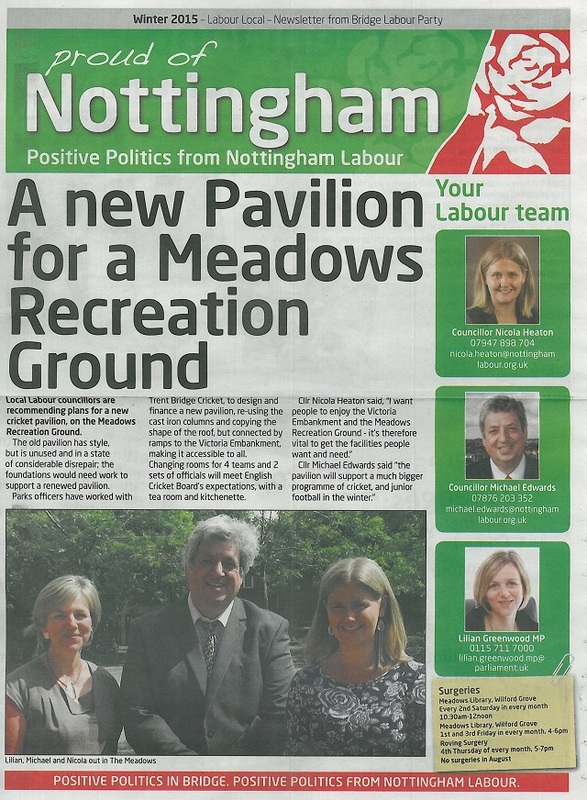 Emphasising our determination to support the new cricket pavilion for The Meadows. 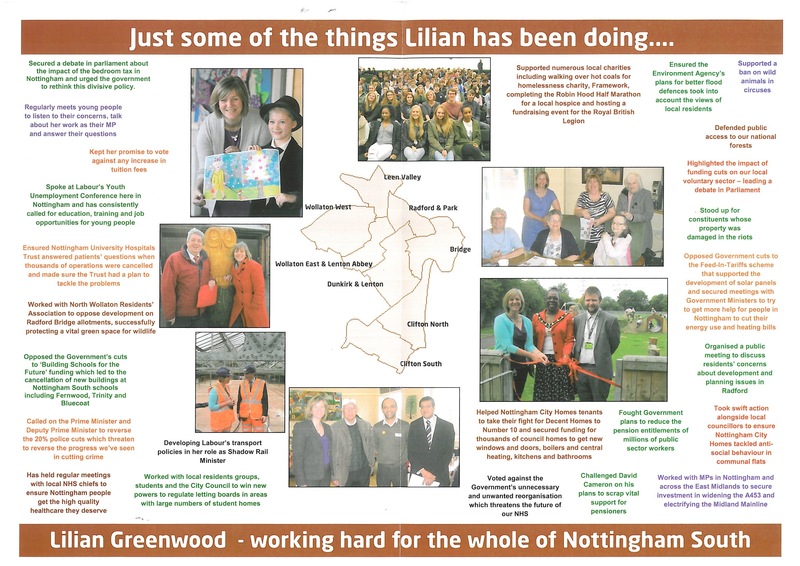 Centre spread on city wide achievements since 2011 and a progress report from Lilian Greenwood MP for Nottingham South. 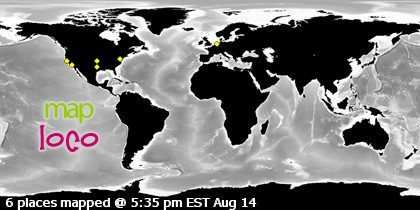 Select graphics for larger versions. 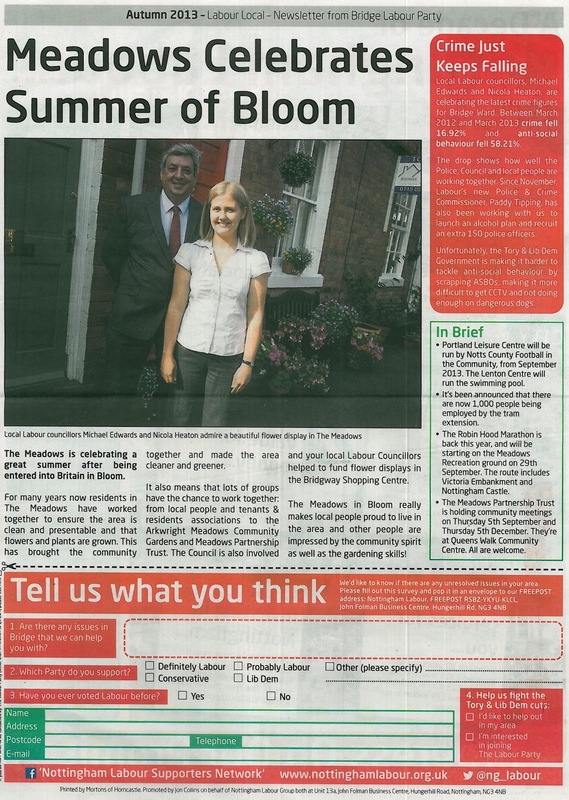 Distribution of the report in The Meadows began today. 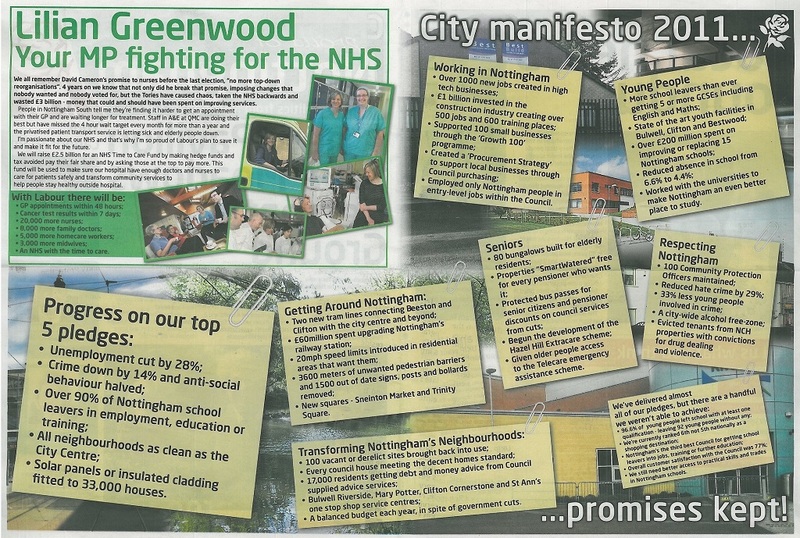 Select the images to see the detail. 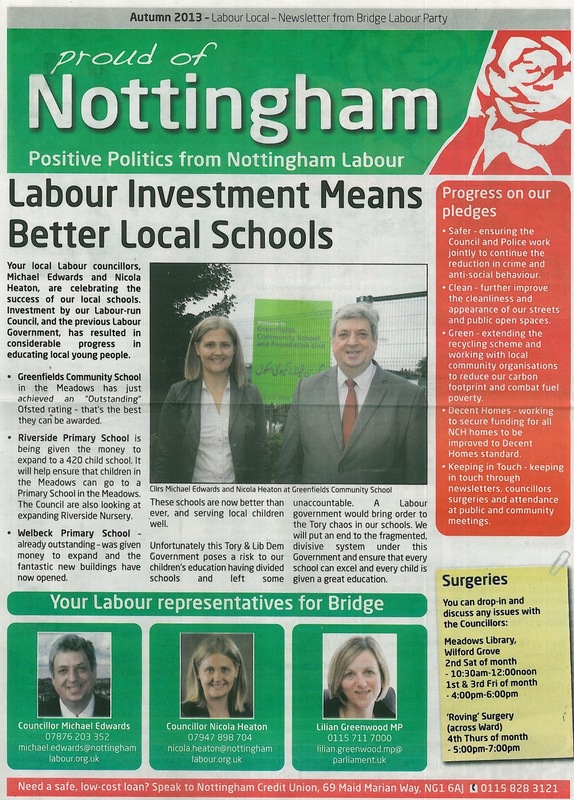 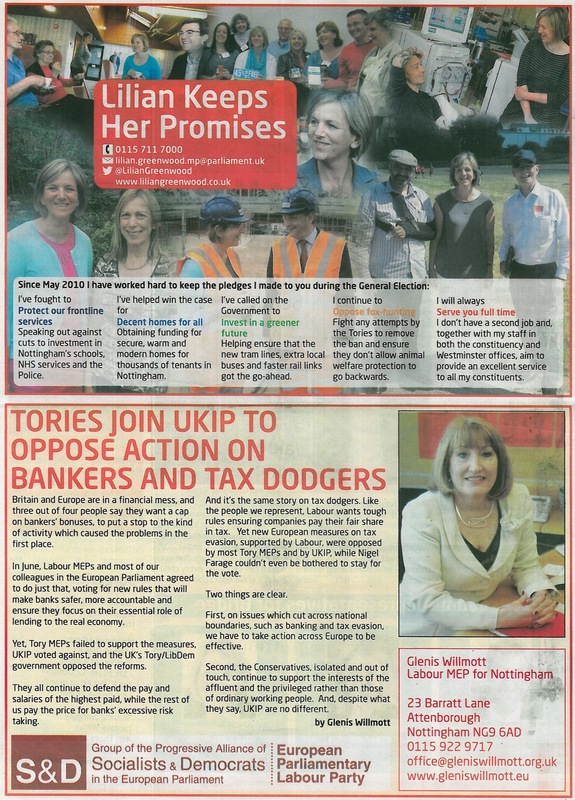 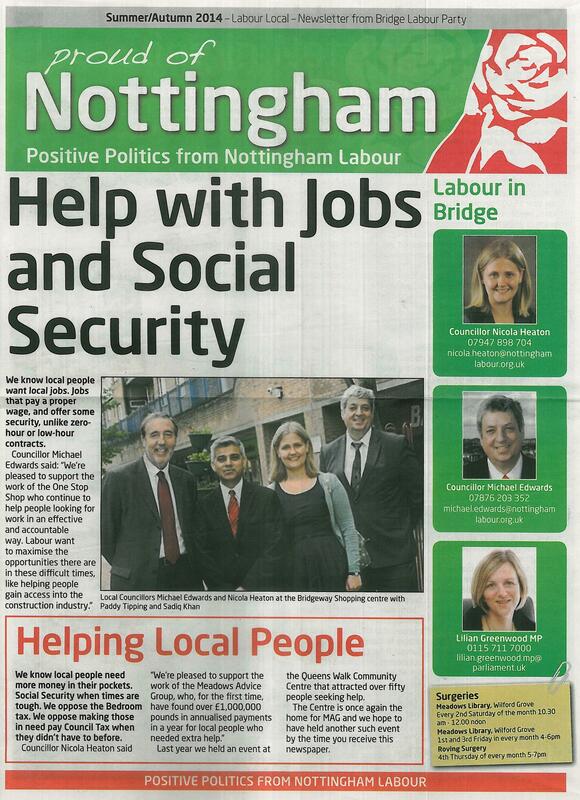 Across the city, Nottingham Labour party are distributing newspapers to keep people informed. 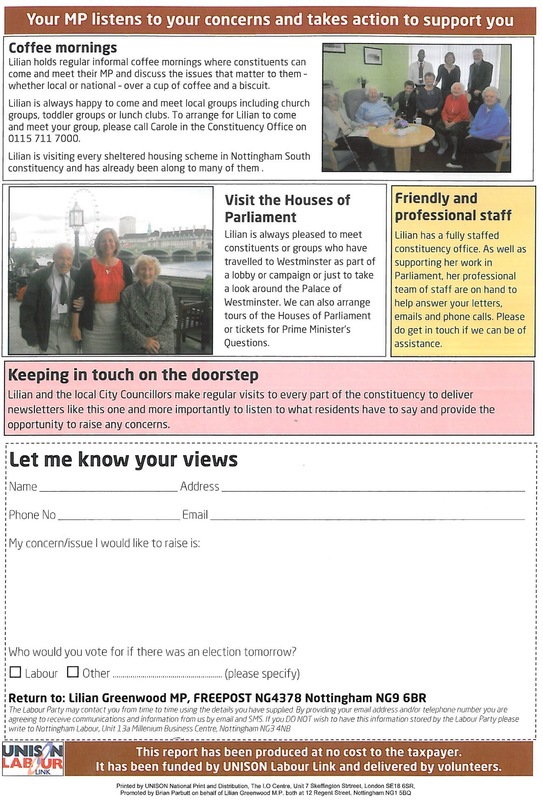 Select image for fuller view. 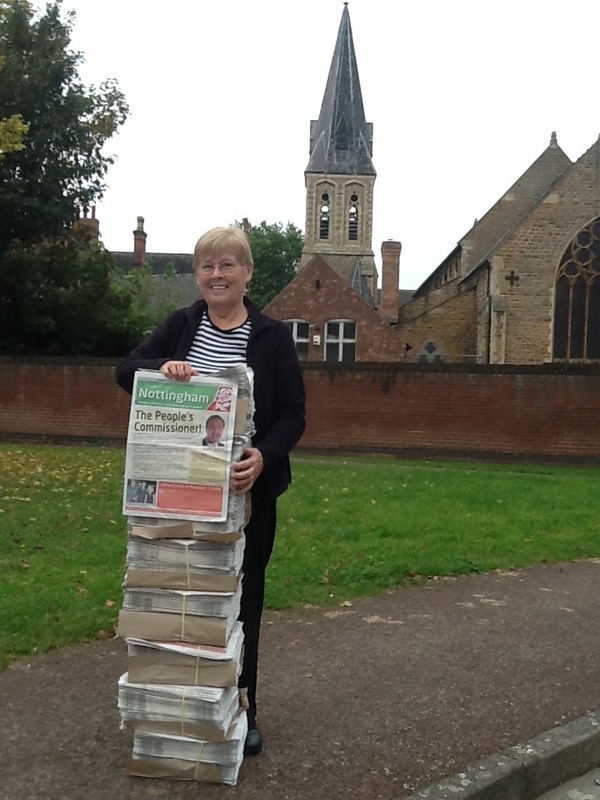 Di Clausen with thousands of newspapers for The Meadows. 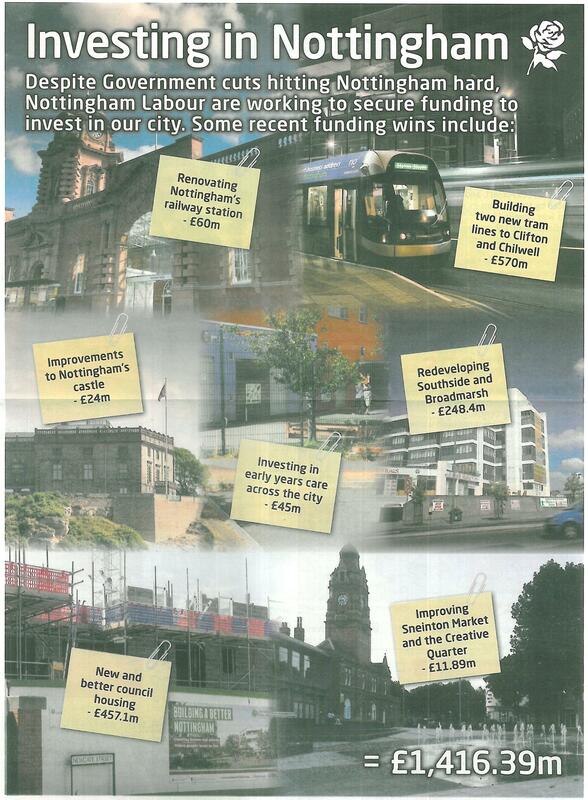 Around 20 people will be delivering the appeal for support for Paddy Tipping. 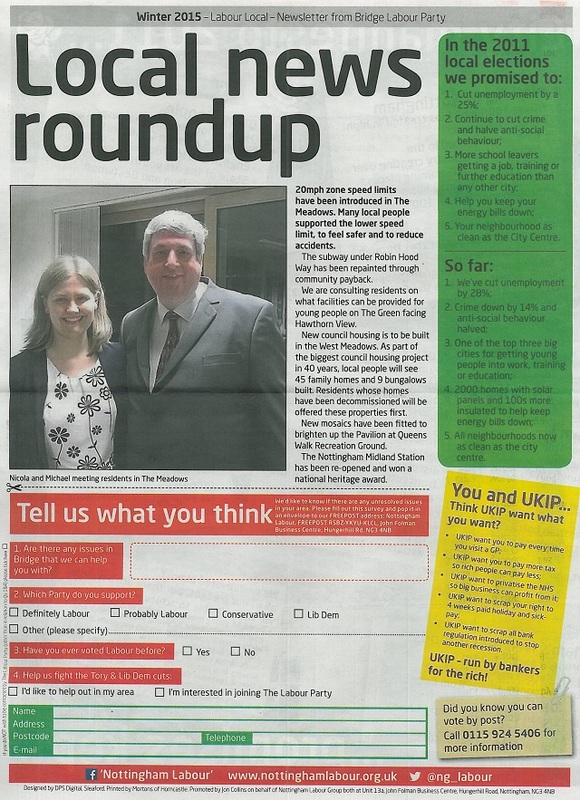 In the background, the beautiful St.Saviour’s Church.